Like new 2019 yet sb100 turq x01 build all stock except a custom built i9 orange hubs with nox farlow rims. The frame is near perfect the wheels have some tiny scratches but thats it, or regular stock wheels for 5300! My wifes 2017 tallboy 27.5+. Wheels are stock almost unridden because shes been riding 29s. Stock x01 build in good condition with a couple imperfections from normal use, i would say 1300 miles on the bike. Have a slightly used 2018 rocky mountain instinct 29er forsale. All stock! We bought this for my son and its to big we need to downsize! Great condition has ams protection ridden by a 80 pound kid for 4 months!!! 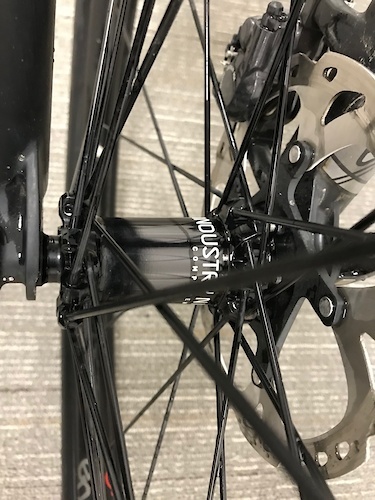 2019 stumpjumper carbon, roval carbon wheels, gx shifter gx eagle derailleur. All stock minus upgraded fork..bike currently has 200 miles on it. Have my 11 yr olds bike 4 sale. Has new boost fox 34 performance fork 130mm travel, new slx brakes, and xt 1x11 drivetrain. Pivots have been replaced. Has cable rub and some scratches, but no damage. Great kids bike!!!!!!! The slx brakes arnt on yet but will be. Evil following MB custom build, di2, carbon! 2018 Large Evil Following Lowest price on the net for this spec! $4,195 This bike is in perfect condition, look at photos to see the clean frame with very little marks or scratches. Over 50 adult owner, well cared for. Additional photos can be emailed to serious inquiry's New retail well over $7,000. Priced to sell at $4,195 Highlights: Evil Following MB Large Drunken Olive color MRP coil fork 140mm Industry Nine 305 wheels XT Di2 11 speed electronic shifting and drive train Reverb dropper post Enve carbon bars Shimano XT brakes Shipping only in the continental US $90.00 buyer pays PayPal charges.